Ah, 'tis the season for spoiling yourself and treating your loved ones to all of the luxury that was put on hold for the coveted, festive December holidays. And don't Januworry too hard, you can also save for some of these SA luxury escapes for your 2019 planner. Boasting a plethora of luxury stays - from chic to quirky - alongside a range of luxury wine experiences as well as quick day trips - SA simply oozes decadent and intriguingly extravagant offers. DID YOU KNOW: You can also book your furry friend into SA's revamped luxury pet hotel? From humble city-centric hotels to lavish, recluse R130k-a-night resorts - you're sure to find a cup of luxury that best suits your needs. Long Beach offers an intimate experience where you feel right at home but still get private hotel-level service that's really a couple of steps above what you would get at a big chain - making it perfect for luxury travellers and couples who want to splurge on something extra. If you love being waited on hand and foot, then the Light House Boutique Suites, located in the heart of the historic winelands town of Paarl, is the place for you. Think having a tissue handed to you mid-sneeze, soda water and a napkin too if you clumsily mess some soup on yourself during dinner, or a silver tray of chilled bottled water at the ready after a long hike. This place is the epitome of luxury treatment. Set high above Sea Point, in the embrace of Fresnaye, is an exclusive villa made for the kings and queens of the world. Moondance Villa is not only an 8-bed luxury accommodation - marked at R130 000 a night in peak season - but it's also a quiet spot to escape not only Cape Town's windy weather but also the hustle of city life, without being too far removed from its attractions. Quiet vintage aesthetic and a blossoming garden filled with hidden statues, La Rive Villa is a luxury escape to the heart of Franschhoek. Its garden remains lush due to being built in a riverbed and a high water table. Beyond the petite flowers and the watching statues, a spectacular view of the mountains complete a fairy tale picture. Mabula Game Lodge can be found nestled within the plush plains of Limpopo, across some 12 000 hectares of flourishing and lush bushveld. This wildnerness escape sits just a short 2-hour drive from Johannesburg - making a quick and luxurious bush weekend escape to reconnect with nature a sho't left trip. Nestled deep in the Hoedspruit bush, Thornybush Game Lodge brings the luxuries of lavish hotel life into the wilderness to ensure your comfort between roughing it out on game drives. The Thornybush Collection of Lodge offerings consist of twelve Lodges, eleven of which are located in the Thornybush Private Nature Reserve and one in the Northern part of the Sabi Sand - which is just an over 5 hours’ drive from Johannesburg. Fancy golf resorts and city boutique hotels might be default luxury break ideas, but an escape to the luxury of the Limpopo bushveld is an ideal long-weekend tryst to look forward to. Kapama Private Game Reserve, right across from Hoedspruit Airport for easy access, has four lovely lodges to choose from across the reserve, but if you’re looking for a good vibe with other travellers Kapama River Lodge offers an ideal stay. It is also the base for Camp Jabulani, home to rescue elephant Sebakwe who is most well-known as the mascot for Amarula. 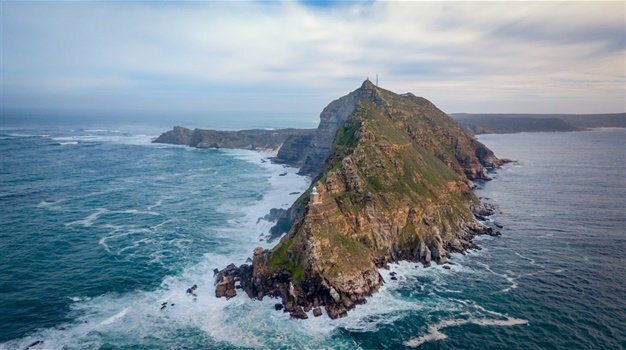 Situated cosily along one of South Africa’s most scenic drives Chapman’s Peak, is where you’ll discover the boutique luxury of Tintswalo Atlantic. Winter is probably the best time to enjoy this five-star lodge, hidden within the ocean-facing region of the park. Staying at the Turbine Hotel & Spa is staying in the very heart of Knysna. It tells the story of this coastal icon, its people and its rich history - all while giving you access to the inner circle of modern Thesen Island living. In the previous century, the Turbine was initially a power station that used wood to generate the electricity that powered Knysna and Plettenberg Bay. Since then it has been transformed into the chic modern luxury stay that it is today. Located just north of the Groenrivier entrance to the Namaqua National Park, right on the beach, these luxury tents are a great launchpad from which to explore and enjoy the amazing scenery in the park. The tents all face the mighty Atlantic Ocean so visitors can enjoy a gorgeous ocean vista and accompanying sunset. The camp is the perfect place to settle down for a bit before heading out to explore the coastline and all the flowers and succulents in the area. Situated just outside Emanzana (Badplaas), about a three-and-a-half-hour drive from Johannesburg. The main camp at Nkomazi is nestled between giant green Jurassic Park-like mountains creating a lush valley rolling out from under a thick misty blanket every morning. Each of the 10 luxury tents at Nkomazi provide the ultimate "glamping" (glamourous camping) experience and are fully kitted out with everything from a king-sized bed to a walk-in closet, to your own plunge pool. Take your tastebuds aboard on an adventure at sea on The Alba Restaurant. This floating restaurant is changing the foodie game in Cape Town waters. The Alba Restaurant is a fine dining experience sure to capture not only the hearts and stomachs of tourists, but locals as well.